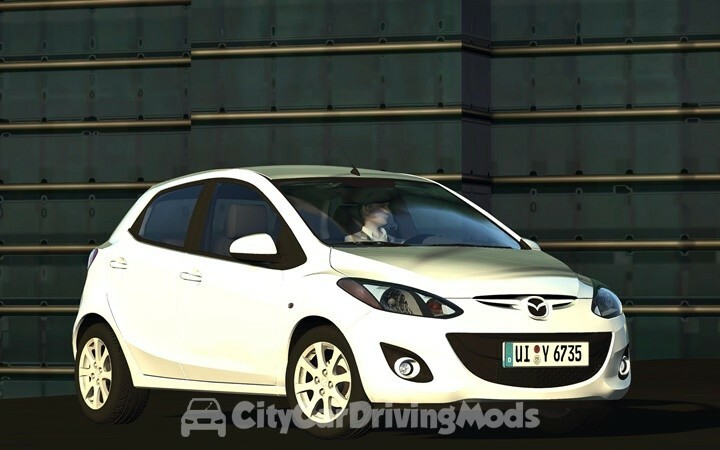 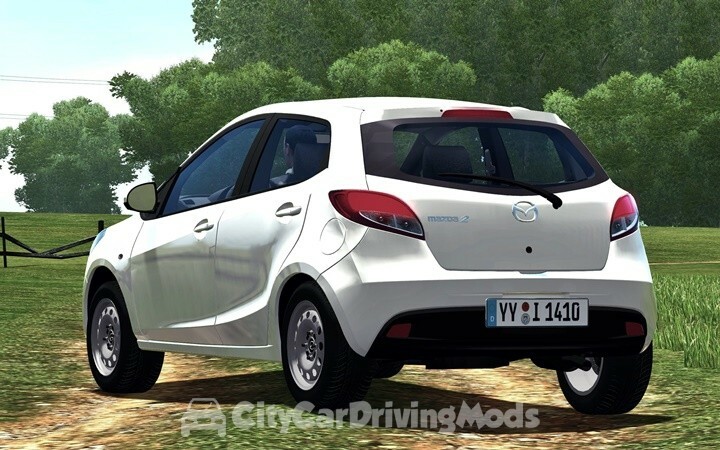 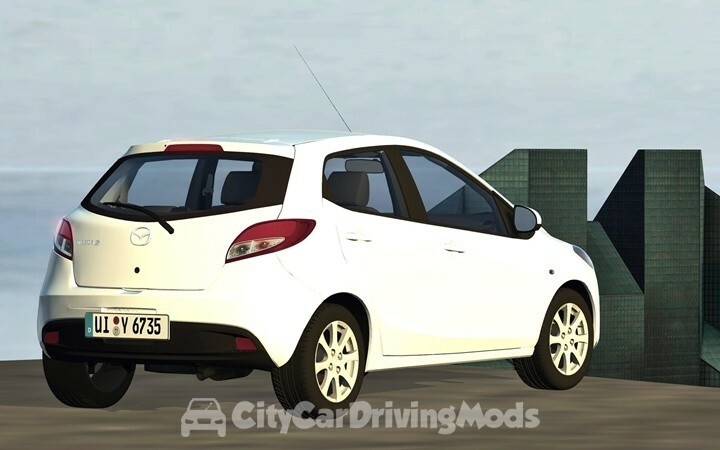 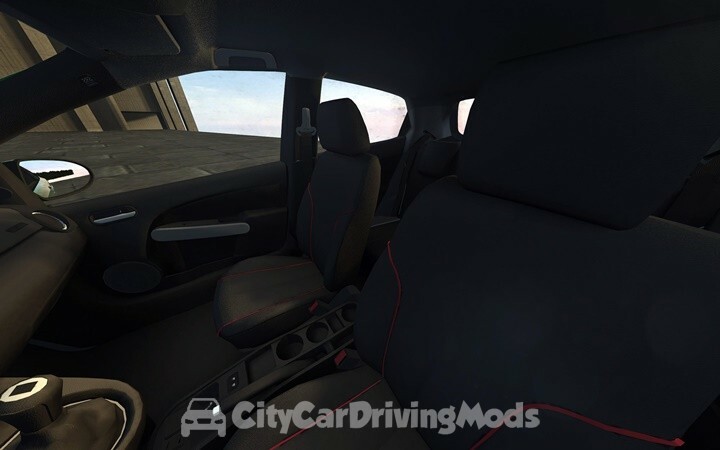 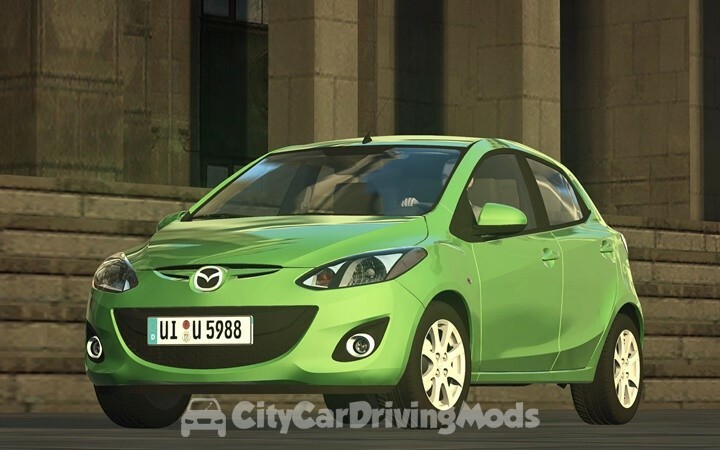 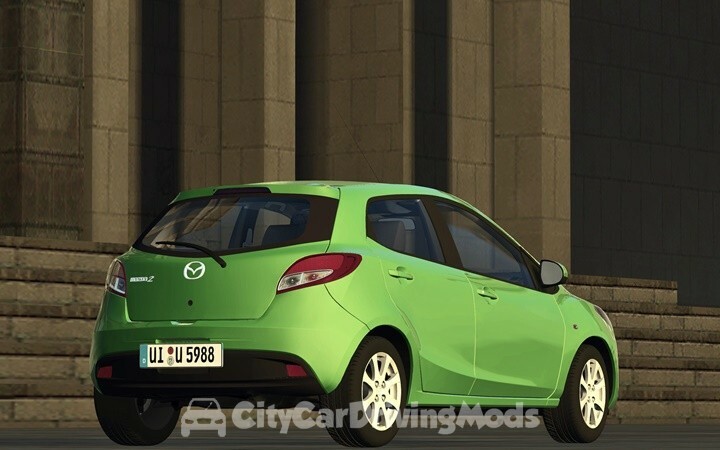 Mazda 2 for City Car Driving Simulator. 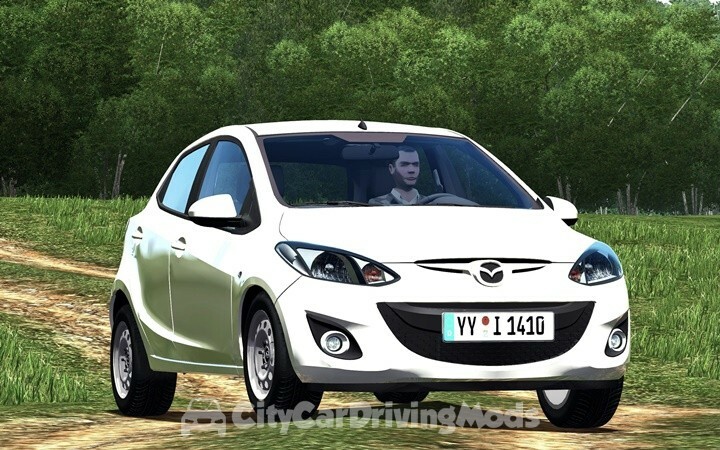 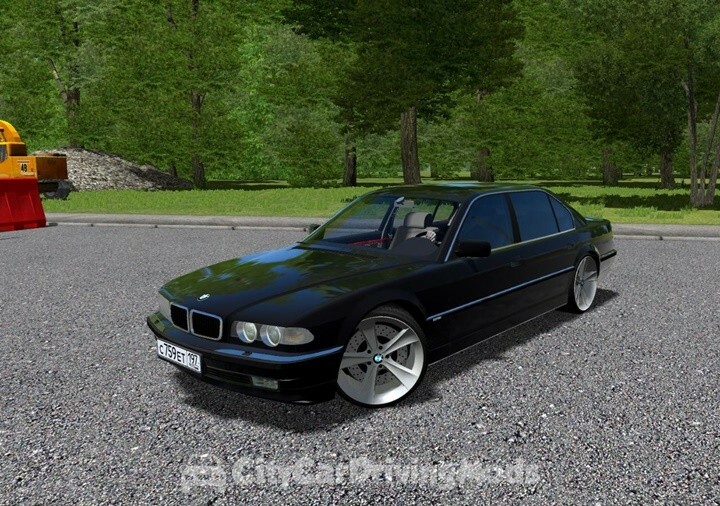 – Now fully compatible with DX11 but only 2 parts are not compatible but they are not easily noticeable they are the orange front lights and the interior trim part near the windows are a little bit black. 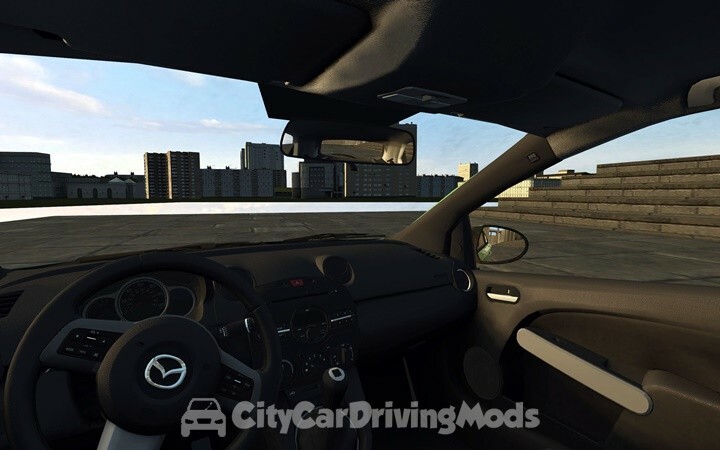 – Moved the center mirror toward the rear windscreen for better visibility. 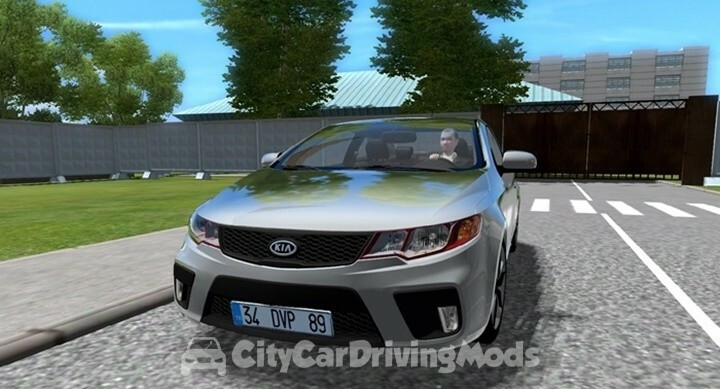 Added original custom sound by Fulloyunmod’s Kia Forte coupe its exactly the same sound in 1.2.5 only the indicators have different orignial custom sound added The extra steel wheels option was there before but didn’t mention it initally i thought it was the interior that had black areas but it wasn’t it was the exterior plastic part of the car that needed doing so it easier to do because there was no need to lightmap it so it was easy.